Don’t miss this great opportunity to visit one of the best WWI exhibitions ever presented in North America. 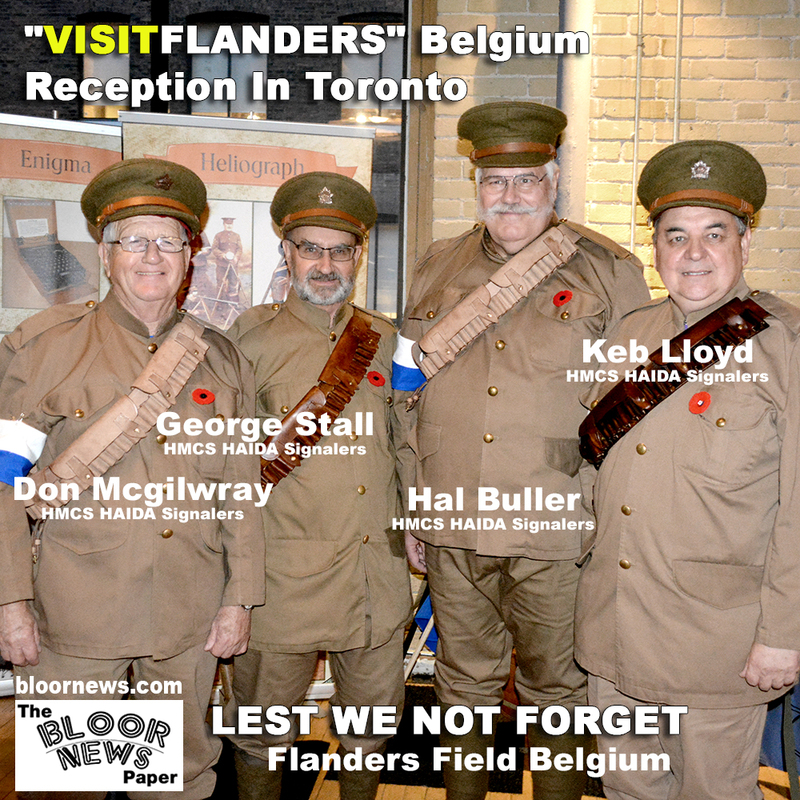 Brought to you by Visit Flanders and the Canadian War Museum. “Fighting in Flanders – Gas. Mud. Memory.” opens at the War Museum! From November 7, 2014 until April 26, 2015, find out how Canadians in Belgium adapted to significant First World War battlefield challenges ― from the first lethal use of poison gas in the Second Battle of Ypres to the hellish mud of Passchendaele. Learn more about the famous poem “In ” and explore how Canadians and Belgians remember and commemorate the First World War (from the early 1920s to today). VISITFLANDERS is the tourist office of Flanders, the northern region of Belgium. We invest in the development and promotion of Flanders-Brussels as a top tourist destination. Enjoy authentic Flemish food and join Beer Expert, Jordan St. John, for a beer tasting of some of Belgium’s finest beer.